STUNNING EXECUTIVE WATERFRONT HOME with 180 degree, main channel view of Fort Loudon Lake. Enjoy expansive outdoor living from the spacious patio with riverfront view, relax with morning coffee from the intimate screened porch off the Master Suite on the main and entertain on the river at the boat houses. 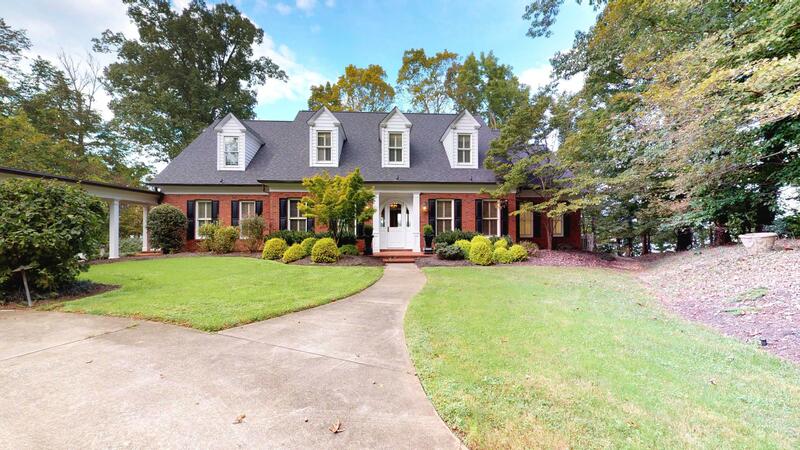 This home boasts 10 foot ceilings, large Chef's kitchen, an abundance of built-in cabinets, high end appliances and beautiful brick fireplace with gorgeous wood mantel in the eating area. Freshly painted, newer roof (2011), remodeled master bath, 3 HVAC units (less than 5 years old). Home has been wonderfully maintained inside and out. Located in the much sought after Topside Community. Minutes from Downtown, UT Campus, area parks, McGee Tyson Airport and West Knoxville.